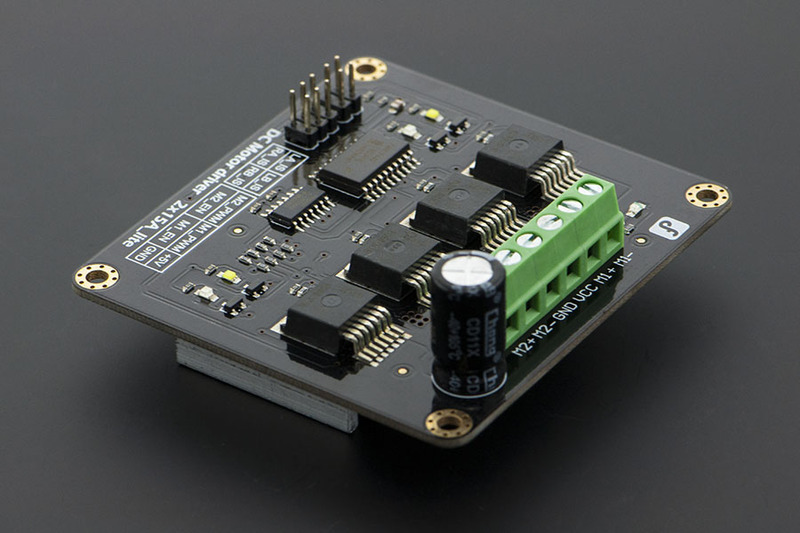 This DC Motor Driver can be used in 4WD mobile robot platforms,Combat robots, smart car competition, to drive pumps, electric fans, conveyors, etc... This module uses 4 high-performance & high-current driver chips——BTS7960 with the function of current short, over temperature,over voltage protection. 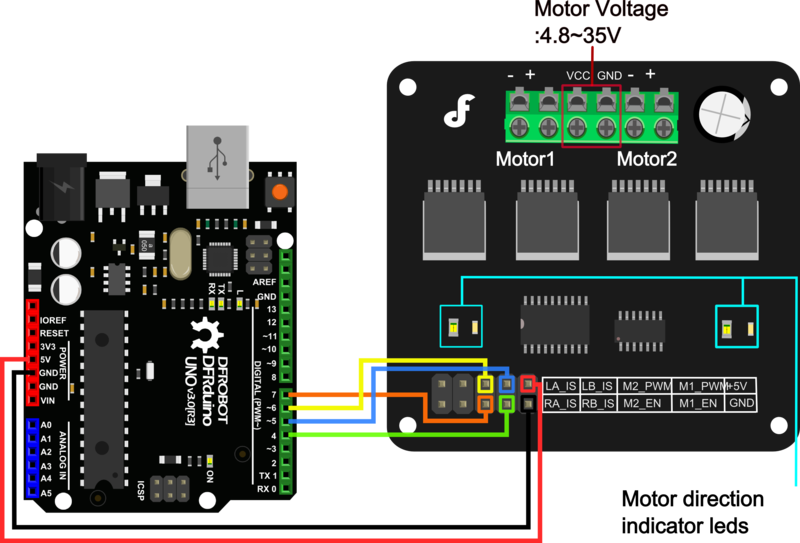 You can control 2 motors with only 4 digital IO at the same time. Dual 15A@13.8V max output current,good responsiveness & braking performance. Four indicator leds are provided for easy and convenient debugging without motors.This DC Motor Driver module is directly compatible with Arduino. LA_IS,LB_IS,RA_IS & RB_IS is for current sense and diagnosis. In normal operation,the IS pin output a LOW level.In a fault condition,It will output a HIGH level.The following code will show you how to do. LA_IS and RA_IS is used for Motor1. LB_IS and RB_IS is used for Motor2. # This Sample code is for testing the DC Motor Driver 2x15A_lite module. data function：input “w”，“x”，“s”：motor will have corresponding reaction.